This full conference registration option includes all general sessions, choice of breakout sessions and all food functions. Refunds will not be made for food functions not attended. Full refunds, less a $75 handling charge, will be made with written cancellation prior to July 8, 2019. No refunds will be made for any reason after July 8. For the President's Welcome, the recommended attire is resort casual. Register early, the full conference registration fee increases after July 22. The cost of these events is included in your Full Conference Registration fee. Please indicate below if you would like to bring a guest to any of these events for an additional fee. If you add the items below, their cost will be added to the total cost of your registration. You can also purchase guest tickets separately by selecting Guest Ticketing in the Annual Conference (Member Rates) section of the store. This option allows you to pay separately for your Full Conference Registration and your guest tickets. President's Welcome Reception guest tickets MUST be purchased separately. 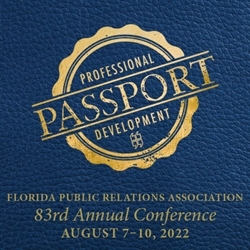 Do you have a fun and/or inspiring FPRA story you would like share?